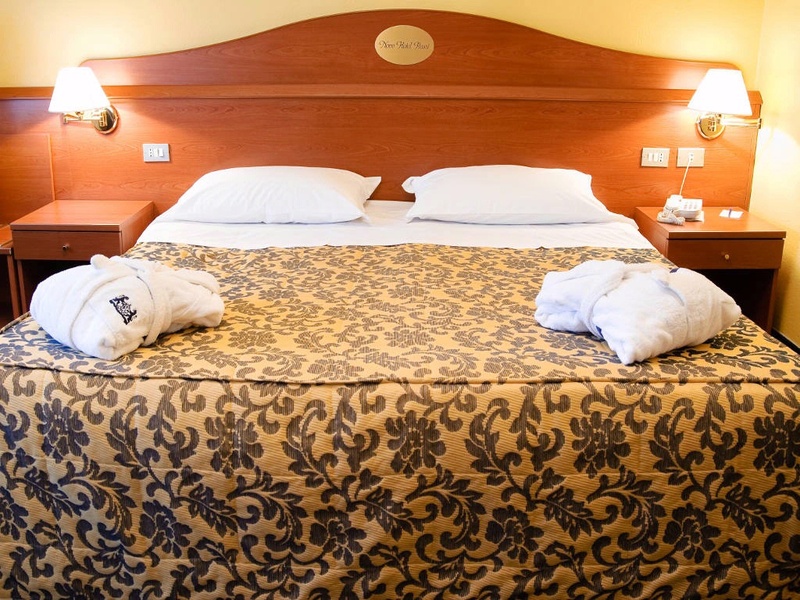 Welcoming and comfortable, is available with twin beds or with one double bed and double pillows. Thanks to the wide spaces, on request can also be fitted with a third bed (on payment) or with a crib; for families with babies is also available, on request, the high chair for breakfast. The furniture, simple and functional, includes also a desk with stationery set (block-notes, pen, envelopes) and information about the city. Supplied with en-suite bathroom, WC, bidet, shower and hairdryer, includes also a superior courtesy set comprised of shower gel, soap, shower cup, shoe sponge, bathrobe and slippers. Safe in room and free safety deposit by the Reception. Superior rooms let you unwind with thoughtful touches such as complimentary tea and coffee making facilities and a fresh fruit basket upon arrival. The evening turndown service, when permitted by the guest, includes the good night’s chocolate.